These mixed berry turnovers are easy to make and ready in under 30 minutes! Free of dairy and refined sugar, and vegan friendly too! While vacationing in Florence, Italy several years ago, we got a great deal on a hotel right outside the city center, so needless to say, we took it. We came in by train from Venice in the late afternoon and spent a few hours walking the cobblestone streets. We ate dinner and then hopped onto the city bus to get to our hotel. After what felt like a hundred stops to drop off and pick up passengers, we were the only “tourists” left on the bus with a bunch of locals, headed out way past my comfort zone. This hotel was seriously farther than the 1/8 of an inch away the little map online depicted. We missed our stop and had to backtrack about a quarter mile. It was dark and what seemed like the “rough” side of town. I’d be lying if I said I wasn’t a little worried about our safety. When we finally got to the hotel, nobody spoke English. Figures. I guess that’s what I get for being a sucker for a deal. After lots of hand motions and an exchange of broken English and Italian, we get to our room, which at least was rather nice, took a quick shower and collapsed onto the bed. It had been an exhausting day. In the morning, we ventured out to find breakfast. Once the city was lit by the rising sun, it was very nice and metropolitan, not scary like the dark shadows of the night had painted. Our €1 cappuccino in Florence, Italy! I quickly forgot all about the coffee when my eyes finally rested upon their display case full of fresh, delicious pastries. They were only about €1 (little over $1) each too! Man, I’ve seriously been getting ripped off at the coffee shops in America! Our cappuccino and pastry breakfast cost a little over $2 apiece and it was seriously the best I’ve ever had. Needless to say, we visited this place a number of times again before we left, ordering the same thing each time (since that’s all we knew, haha!) Ah, I have so many amazing memories of our time in Italy! I hope we are able to go back again one day! After bread-y desserts, pastries are my fave, especially with my cup of coffee or tea. It’s not like we have our choice of amazing Italian bakeries here in Tulsa, so I knew I had to learn to recreate my own. These turnovers are kind of like a danish or a pie in pocket form. I filled these with a lightly sweetened berry filling, but feel free to use your favorite pie filling. Since puff pastry doesn’t need to bake too long, precooking the filling is essential as it doesn’t have enough time to fully cook inside the pastry. As you can tell, I was very generous with the filling too, as it practically exploded out of each pastry while cooking! Not sorry about it though, I love a generously filled turnover…just make sure to seal yours extra good! Mmm, just look at the flakey layers and fruit filling! These turnovers are very delicious and would be perfect to make for Mother’s Day this weekend! 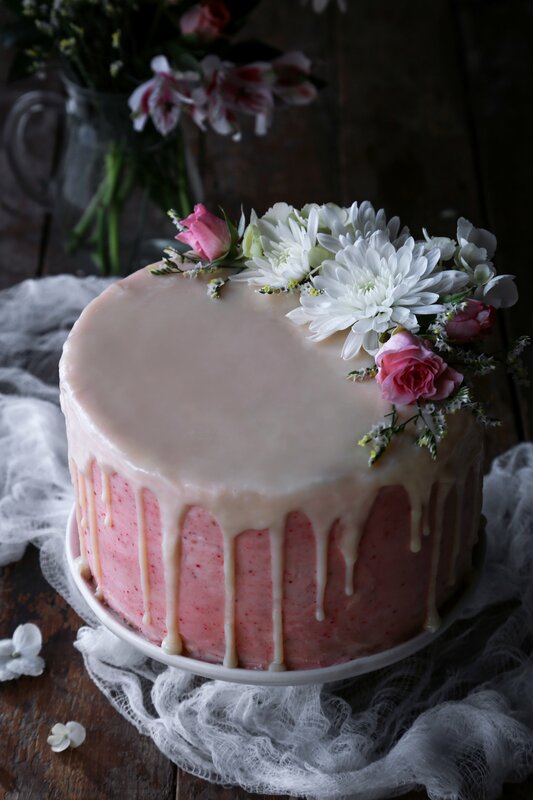 Scroll down for other Mother’s Day recipe ideas! 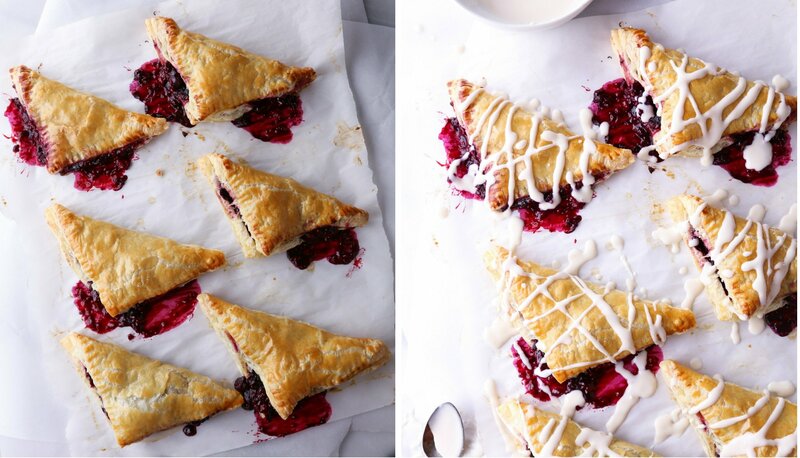 These mixed berry turnovers are easy to make and ready in under 30 minutes! Free of dairy and refined sugar, and vegan friendly. 1 sheet puff pastry, thawed if frozen (use a vegan friendly pastry, if needed) Can also use your favorite gf pie crust or this gf puff pastry recipe looks promising! Preheat oven to 400ºF. Place berries and maple syrup into a medium saucepan and cook over medium-high heat, until berries have begun to release their juices. Mix together orange juice and cornstarch in a small bowl until smooth and add to the berry mixture. Continue to cook the berries until sauce has thickened. Remove and let cool. Place thawed puff pastry on a sheet of parchment paper and begin to roll several inches larger on all sides. Cut sheet into 6 squares (once lengthwise and then cut the two long strips into thirds). Transfer parchment paper with the puff pastry to a large baking sheet. Place a large spoonful of the cooled filling into the lower corner of one puff pastry square brush the edges with egg wash (water if vegan). Fold the opposite corner over into a triangle to seal. Use the tines of a fork to crimp the edges together. Brush each turnover with more egg wash and bake for 12-15 minutes, until golden brown. Check halfway through baking and turn the pan around if one side is browning faster than the other. 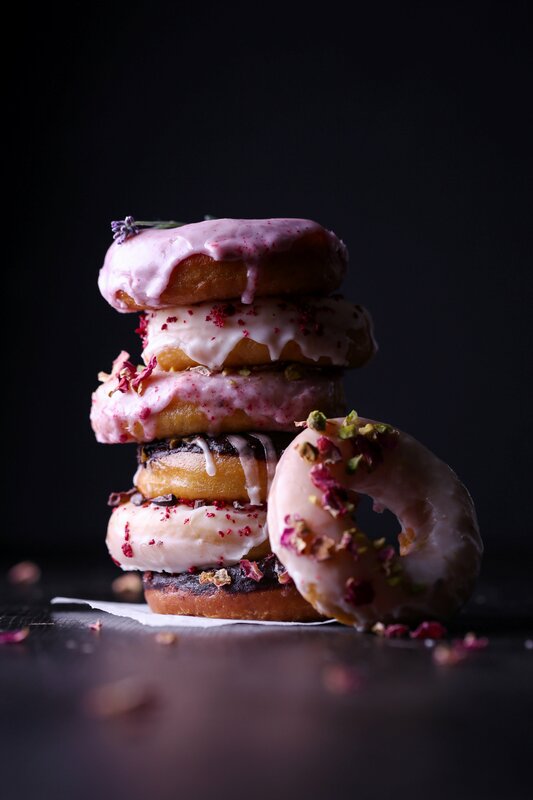 Drizzle glaze over each one and serve. Makes 6 turnovers. Mix together softened cream cheese, sweetener, and vanilla until smooth. Stir in milk, a little at a time, until glaze becomes thin enough to drizzle over the turnovers. Hi Amira! Thanks for the kind words! I used a bag of frozen mixed berries which include raspberries, blueberries, and blackberries. Please let me know if you try it out. Have a wonderful week! 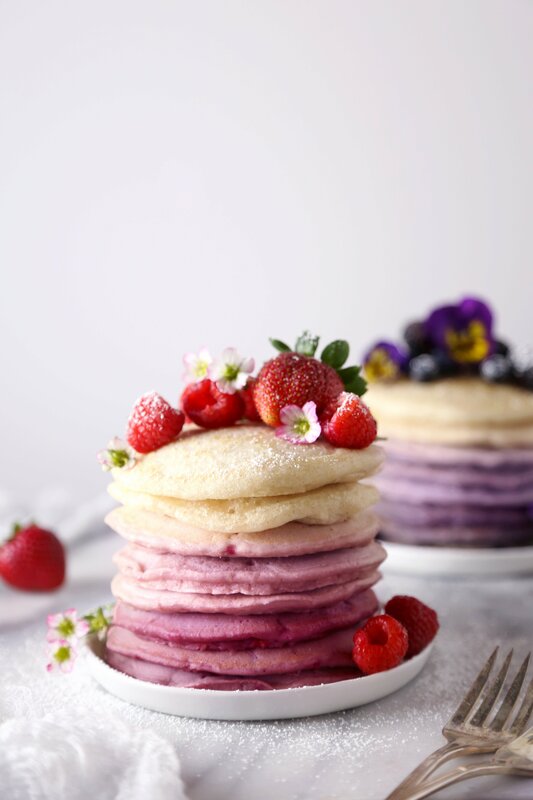 Just gorgeous, love that pretty berry filling! This looks like the perfect snack! Yum! What a scrumptious looking treat! I have been avoiding dairy lately so this might be my new favorite recipe discovery. Thank you Chelsea! Please let me know if you’d like me to help you find other dairy-free options on the blog. Thanks for giving it a try, Angie! I hope you’re having a wonderful weekend! From the first picture, you have made me so hungry. 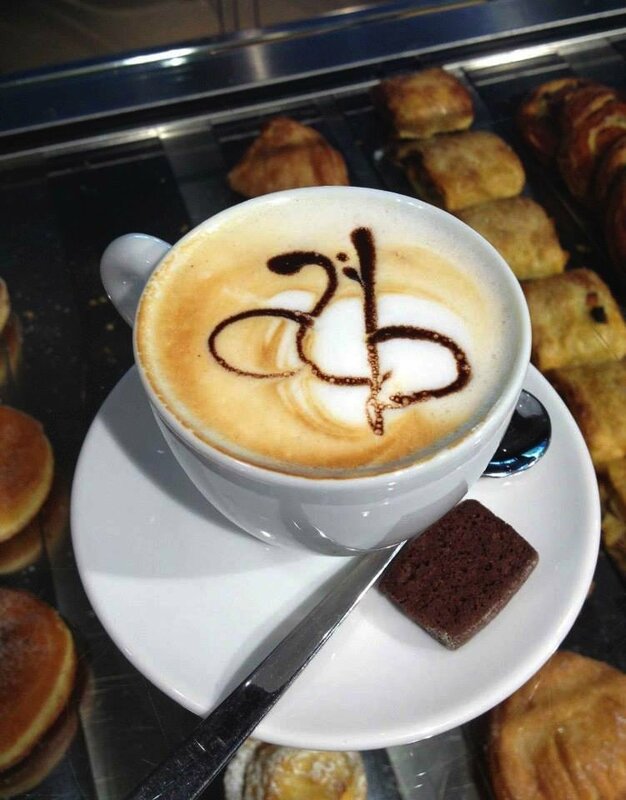 Looking forward to grabbing a cup of coffee and reading your blog! Thank you Mary! I appreciate you reading through the blog. Please let me know if I can help you find anything. Have lovely evening. They look so heavenly delicious! I am so drooling over because they’re my favorite kind of desserts! Love! Love! Love! Thank you for the encouragement Pammy! Have a wonderful evening! Turnovers are just about my favorite pastry in the world. These look incredibly delicious. I’m saving this recipe for an afternoon of rainy-day baking! That sounds like a wonderful time (inviting myself over) . Have a lovely weekend! Thank you for bookmarking the recipe, Patricia. I appreciate the kind words! Oh my god, Italy is forever in my heart and your brought so many memories of when I visited Florence! This recipe is so simple and I’m going to definitely try making them soon. 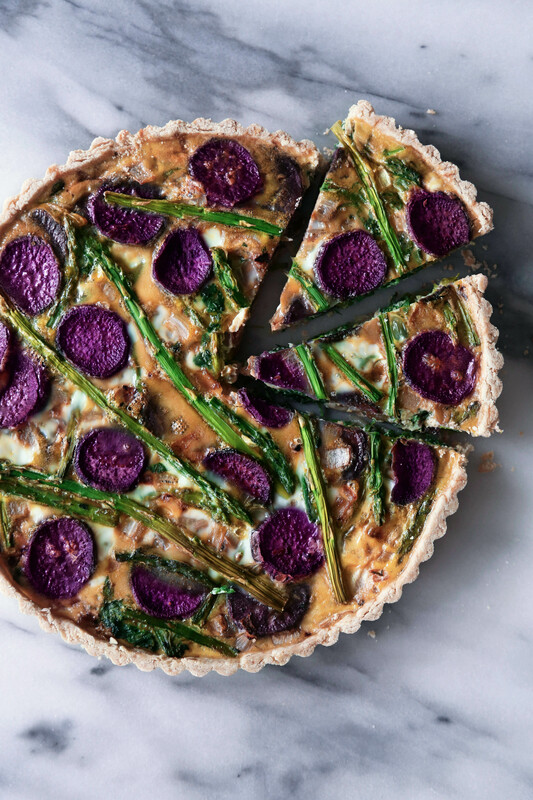 Thank your for this amazing recipe and for bringing back memories of Florence! Hi Carissa! Florence was such a beautifully artistic place. My hubby and I absolutely loved it there and are planning on taking the kiddos there possibly next year for our 20 year anniversary. Thanks for the kind words! I love when a post conjures up great, nostalgic memories! Oh my goodness, these look so good! I will be buying some ingredients for my mothers day brunch. Thank you Carrie! I hope you have a lovely brunch! Thanks Kachet! I appreciate you planning to make this! Enjoy and have a wonderful day! How you made me miss Italy!!! It can be rather daunting to not know where exactly one is when wandering around a foreign city but at the same time wonderful. These pastries look amazing and I may have to try out the recipe for a special occasion! For sure, LeAnn! Thanks for visiting and for the encouragement! Yes indeed. They turned out so tasty! Have lovely weekend Filipa! Thank you Uche! Have a great, fun weekend! The turnovers look delish! The story you paint of your trip is fabulous! Aw thank you Janet! It was such a great time. It makes me want to plan another trip here soon.